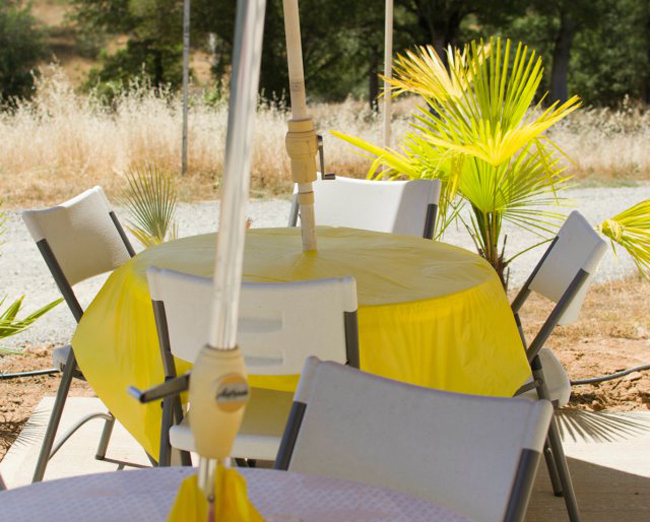 A new gourmet experience has come to the North Yuba foothills. 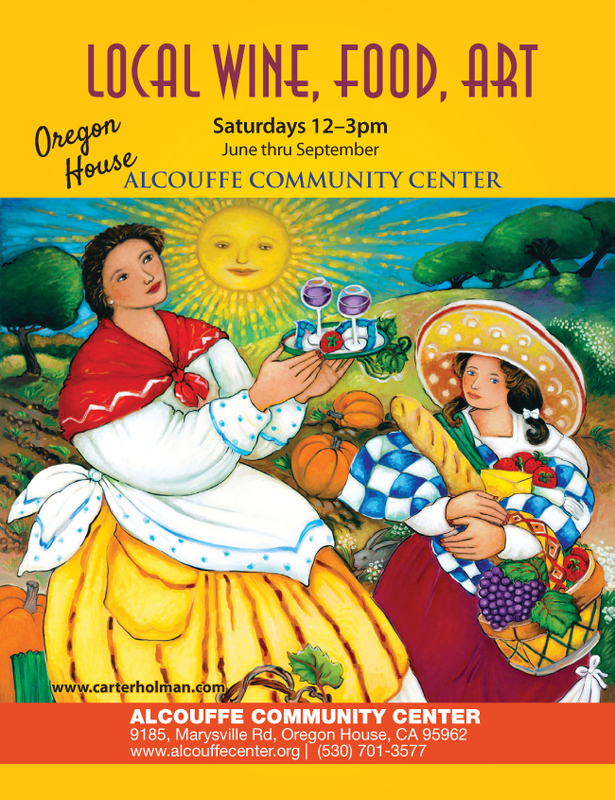 Every Saturday from noon to 3:00 pm, the Alcouffe Community Center in Oregon House is showcasing a lunch menu of all-local foods prepared by exceptional chefs. Locally-grown premium produce, olive oils, and grass-fed meats are the basis for the lunch entrees, salads and snacks. These delicious-- but affordable-- dishes are getting rave reviews from guests. 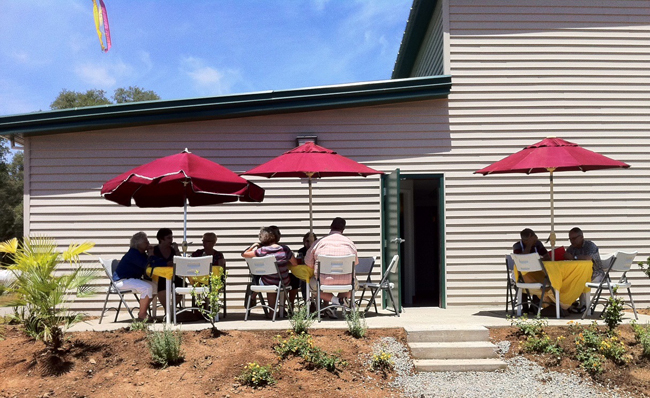 Award-winning North Yuba wines, plus wines from visiting regional wineries are available for tastings or by the glass. 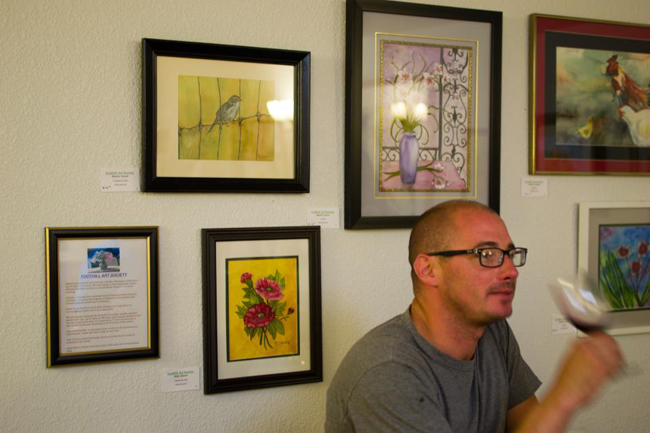 Currently, our fine art exhibition is from the Foothill Art Society, featuring many artists from the Brownsville area. 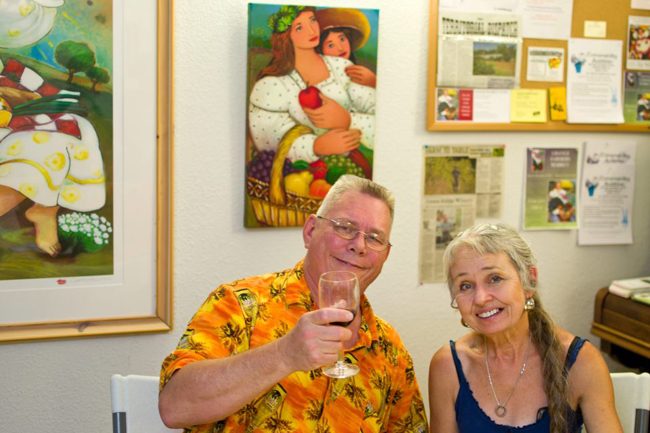 Please come to enjoy this celebration of our local foods and talent! Proceeds benefit the Alcouffe Community Center. Remember, this event is WEEKLY, every Saturday through September 22! Info: 530-701-3577.